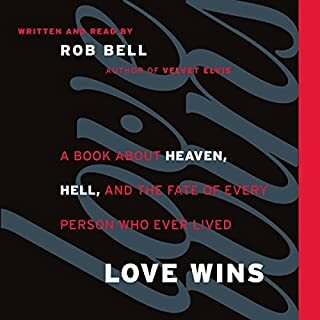 In Love Wins, Rob Bell confronted the troubling questions that many people of faith are afraid to ask about heaven, hell, fate, and faith. Using the same inspired, inquisitive approach, he now turns to our most sacred book: the Bible. What Is the Bible? provides insights and answers that make clear why the Bible is so revered and what makes it truly inspiring and essential to our lives. Rob takes us deep into actual passages to reveal the humanity behind the Scriptures. You cannot get to the holy without going through the human, Rob tells us. When considering a passage, we shouldn't ask, "Why did God say...?" To get to the heart of the Bible's meaning, we should be asking, "What's the story that's unfolding here, and why did people find it important to tell it? What was it that moved them to record these words? What was happening in the world at that time? What does this passage/story/poem/verse/book tell us about how people understood who they were and who God was at that time?" In asking these questions, Rob goes beyond the one-dimensional question of "is it true?" to reveal the Bible's authentic transformative power. 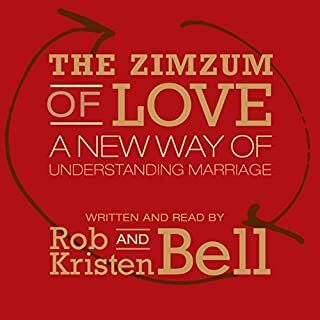 Rob's books are all great! I don't agree with everything he says in all of them, but I don't have to. They are truly great and insightful. I learn new things in each one. I am not a religious woman. I'm so grateful for the spiritual and historical unfolding, the playfulness and lofty scope of What Is the Bible. I could connect to something that lies deep within, to stories that didn't add up, stories I could never quite harness a half-decent answer to. This created a space where I could enjoy and also reflect on my own flaws and strengths. And Robs passion and experience shines all the way through. Loved every word of this book and couldn't stop listening!! Rob Bell once again so eloquently describes so many complex ideas and questions that I've always struggled with in the Bible. Thank you for this book, it will most certainly transform my daily scripture readings! This book is so eye opening to a different way to understand the Bible. 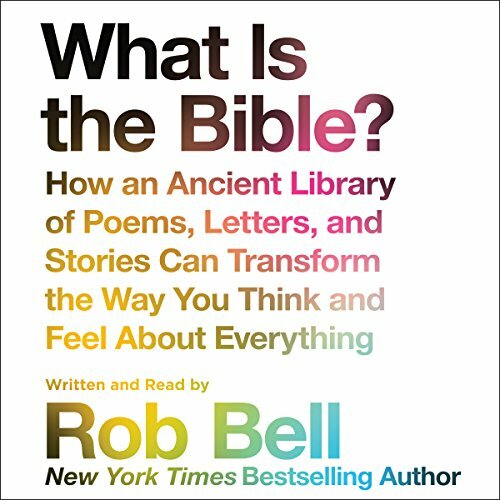 I will never be able to hear or read the Bible the same way again after listening to Rob Bell's book. This book presents the Bible as a book about humanity and is for anyone who is human regardless of religious views. Those aligning themselves with "Progressive Christianity". 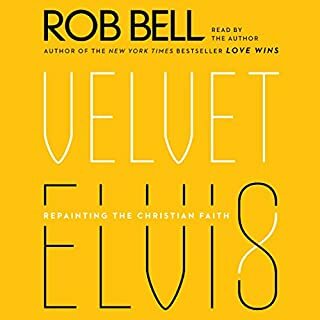 What was most disappointing about Rob Bell’s story? Rob was very selective and not objective in his content. In his attempt to establish the setting, background, and content of each topic, he could have done much better developing the themes throughout the entire Scriptures. I would recommend Audible’s, “Case for Christ, Revised & Updated: A Journalist's Personal Investigation of the Evidence for Jesus”, by Lee Strobel, as a more sincere, investigator's type approach to find the truth. Which character – as performed by Rob Bell – was your favorite? Rob is one of a kind in his delivery. He is clear speaking, witty, funny and engaging in his style. What character would you cut from What Is the Bible?? That wasn’t the issue, rather than the agenda. I realize Rob was covering a large number of topics, but in every case he stopped short of telling the “rest of the story”. I was there when Rob started Mars Hill Bible Church. I will never forget my first visit. I sat between a guy in a 3 piece suit and a fully tatooed motor cycle dude. As Rob opened the Bible I heard a sound echoing throughout the huge congregation that I had never heard in all my years in church. It sounded like rushing water. I looked up from my Bible to see everyone else was turning the pages of their Bible to find the passage Rob was about to read. That was the rushing water sound! That is what Mars Hill was like. Rob unlocked the Jewish world of the Bible and Jesus’ teachings in an amazing way. In the early years he always emphasized, it's all about Jesus, the power, healing and forgiveness of sins available in His death and resurrection. The festivals, the tabernacle, the monotonous details of Leviticus, it all points to Jesus. One example of what I mean by the “rest of the story” was Rob’s account of the “binding of Isaac”, or Akedah. Rob, why did you leave out the full significance of the male lamb caught by its horns (shofar)? Do you remember when you told Mars Hill how this event forshadowed a future sacrifice of God providing His own Son as our atonement? Do you remember when you pointed out how Jesus said, “Your father Abraham rejoiced at the thought of seeing my day; he saw it and was glad”? And, how at the moment of Jesus’ death the shofar was blowing from the top of the Temple Mount, fulfilling Abraham’s promise, “On the mountain of the Lord, it will be provided”? 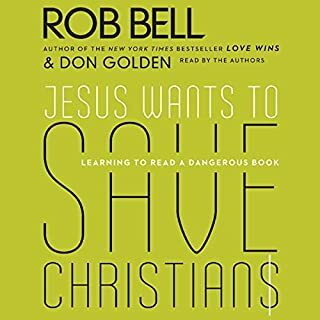 I agree with the Rob Bell of the early years of Mars Hill Bible Church. He taught in an amazing way, including the rest of the story, in every case pointing directly to Jesus. The nation desperately needs the truth of that message. A one-star review may not sound like a torn review, but please hear me out, and I think you'll understand why I can justify ranking this book the way I did. The first two-thirds get a three-star review. It's the final one-third that drops the book as low as it does. Bell starts with encouraging readers to ask some of the most critical questions that many Protestant churches have missed for a long time, namely, "Why did the author write this? Why did the people preserve this?" While Bell is asking utterly fantastic starting questions (and despite his insistence that we cannot do this), Bell is bringing certain unspoken things to the text about what he believes about it. It took me a while to figure out what was going on, because his questions and my questions are identical, and we continually came to answers that were not even in the same state, let alone the same ballpark. His exegetical method seemed sound, but his hermeneutic interpretation was wildly different. The final chapters cleared up the misconception. When answering a question like, "Is the Bible inspired," Bell does answer "yes," but he does not answer the actual question. He redefines the question, first, with no chance for a rebuttal because this is a book. So, when I hear him answer, "Yes, the Bible is inspired," what Bell seems to mean is, "Yes, I believe that people were inspired by a radically new vision of God to record their experiences with him." What was done there by Bell is a little slimy... because when anyone I've encountered *ever* asks, "Is the Bible inspired," what they are asking is, "Was the Bible directly inspired by God, in that God had a literal say in its content, collection, and editing process?" Not that it was dictated, but that God had inspired what was said about him. In other words, Bell answers a question that no one actually asks, and then it begins to unfold through the earlier parts of the book. When Bell asks, "Why did the author write this? Why does did the people preserve this part?" this means he is looking at the Bible expecting only to see humans interacting with humans, because as he states ad nauseum, "The Bible was written by humans." And sadly, what he finds are people concerned about the social justice concerns that worry him: violence, inclusion, etc.. Of course, the Bible does talk about these things, but when Bell comes across something like violence being used in the Bible, which he does mention frequently, he can say that "The authors of the book looked at the world and because they expected a violent God, wrote it down that way." Behind this lies the belief that God did not (or perhaps, would not) interact to correct their notion of God's very nature before the ancient people wrote it down. This is just one example, but examples like these litter the final third of the book. It plays out the reason why orthodox, traditional, radical, and much of progressive Christianity have rejected Bell's thoughts. God is more of a deistic inspiration rather than an active participant in the creation of the book that chronicles his actions with the Jews and later the Christians but never communicates that as the basis for his hermeneutic approach. Bell also goes overboard with listing one-word synonyms for his point every 20 or so seconds ("inclusive, loving, caring," or, "violent, wrathful, angry," for example) I was ready to quit at the end for this one annoyance even more than my frustrations with his hermeneutic method. We get it. You know how synonyms work! Enough with the synonym lists! I can't end without a final piece: while most of his exegesis in the text is surprisingly well done, even when considering the outcome of his answers, there is one place he really blew it. When talking about the death of Moses, and relating it back to Abraham and the carrying of seed, Bell was wildly off. While the theology of gathering is a very valid thing to look at, the death of Moses does not use that tone of the word at all, and the semantic range of uses of that word in the entire rest of the Hebrew Bible do not carry that usage of the word. I've read Bell subjectively stretching meaning in plenty of places, but this is one place where he objectively blew it. 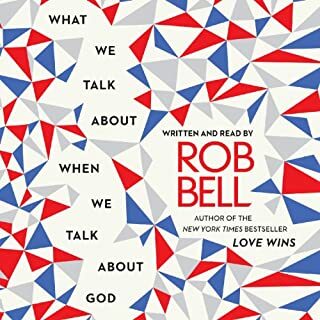 Rob Bell is a great expositor with a different perspective than most mainstream Christianity. In his previous books it's felt like he's really tried to distance himself, but this one was just honest and gracious and beautiful. This book may be one of the most important reads of today! 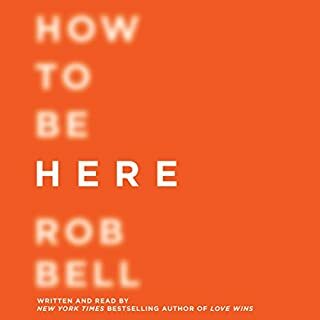 Rob Bell is truly gifted at communicating, and this audio edition is great!! I always love listening to rob speak, because it always feels like I'm having a conversation with him, and that we're both fully engaged. this book keeps that tradition going for me, I loved it!